The definitive endoderm is formed during gastrulation and initially appears as a single-cell thick, epithelial sheet that covers the bottom surface of the developing embryo. This so-called definitive endoderm differs from the visceral endoderm, which is generated in the blastocyst and surrounds the embryo before and during gastrulation. Lineage-marking studies in mouse have shown that the visceral endoderm along the ventral surface of the embryo is displaced by the definitive endoderm as the latter is generated from the epiblast during gastrulation. 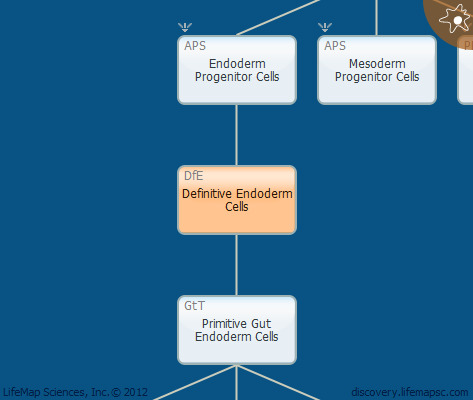 The definitive endoderm can be detected in the mouse embryo from E6.5.